Sculpture in wood that represents the Archangel Michael intent to tame a demon. 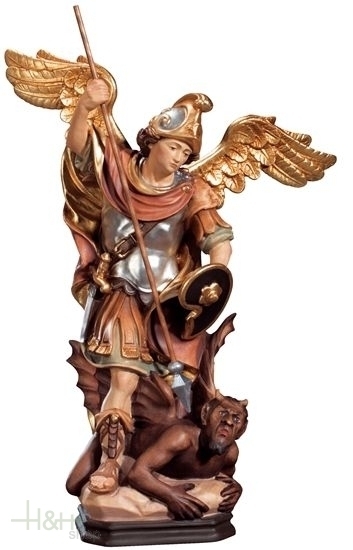 At this carving the Archangel statue is like a warrior. The armor is decorated and inlaid in every detail: from the Roman sandals, to the iron covered body. Michael is depicted with a golden helmet and in the pierce a spear with a demon. Leads a semi-circular shield and a sword. Behind him two golden open wings that identify him as the Archangel. 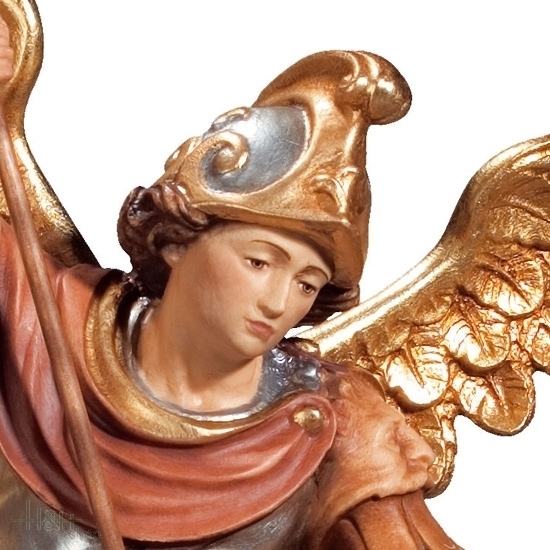 The armor and costume of the Archangel Michael is taken care unless the smallest detail. 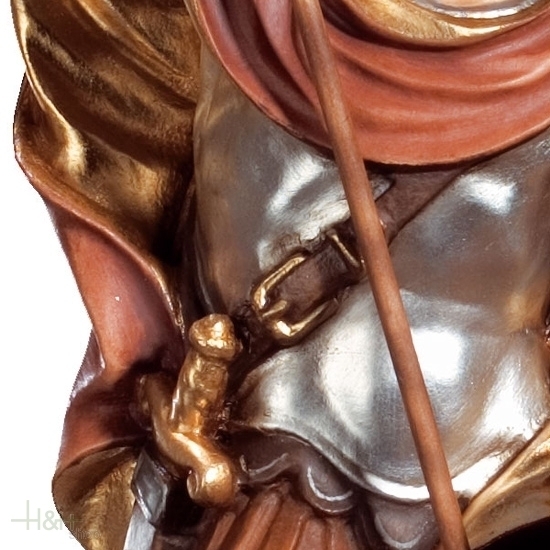 The hand carving of the wood made it possible to recreate every feature of the frame, from the belt with which the Archangel holds the sword, the cloak which falls on the body is hooked with gold. 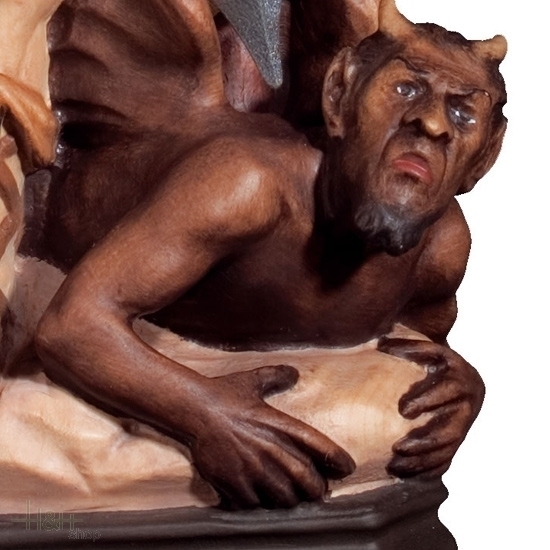 Beautiful detail of the demon in wood lying on the ground and groped in the act of fleeing, the wings from bat clearly differentiate the sanctity of Michael with the wickedness of the demon. Small horns are present on the head of the demon, well detailed also the expression of the face and eyes.